Whether the rate of addiction among nurses is greater than that among the general population is unknown.1,2 But however many nurses may develop an addiction, it's an illness that requires treatment, not punishment. * working a night shift or rotating shifts. * musculoskeletal injuries and pain. Staff nurses and nurse managers who understand that addiction is a progressive, treatable illness are likely to show compassion without enabling the addiction. Ideally administrators will offer to help the addicted nurse, rather than respond with termination. The addicted nurse needs to realize that she or he is not alone. Help is available through state nurses' associations and elsewhere, and professional disciplinary action may be avoidable. But before nurses can ask for and accept help, they must understand that they have an illness that affects their ability to practice safely and can put their license in jeopardy. * arriving early, staying late, and coming to work on scheduled days off. * excessive wasting of drugs. * regularly signing out large quantities of controlled drugs. * volunteering often to give medication to other nurses' patients. * taking frequent bathroom breaks. * patients reporting unrelieved pain despite adequate prescription of pain medication. * discrepancies in the documentation of controlled substance administration. * medications being signed out for patients who have been discharged or transferred or who are off the unit for procedures or tests. A nurse who is diverting medications for personal use may attempt to minimize the seriousness of this theft. Nurses in the SPAN program have excused their diversion of drugs by claiming that the medication "would be wasted anyway." Diversion is a crime, and when it occurs the police may be called in to investigate and make an arrest. Nurses have been arrested for falsifying records and forging prescriptions. Practicing nursing while impaired by alcohol or other drugs is a form of professional misconduct. Nurses who practice while impaired report that they live in fear of being caught.11 It's often just a matter of time before a patient, colleague, or manager reports the problem to the administration. 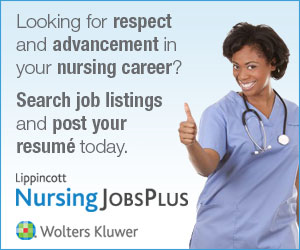 Employers tend to look more favorably on a nurse who admits to an addiction than on a nurse who is reported. Nurses who voluntarily admit to the problem may be permitted to enter treatment with income and insurance benefits intact. But suspension or termination because of addiction can make treatment expensive. Workplace resources include employee-assistance programs, employee health services, and human resources departments. Union representatives and nurse managers can also support nurses recovering from addiction. Legal consultation, behavioral treatment, peer support groups, and the meetings of 12-step programs such as Alcoholics Anonymous, Narcotics Anonymous, and Caduceus (open only to health care professionals) are also often necessary. Calls made to confidential peer assistance hotlines cannot be reported to disciplinary boards.